I'm sitting in a rattan chair on a balcony in Italy in the misty morning light overlooking the Aeolian sea. The birds are singing gustily in the lemon trees below. Somewhere in the distance church bells are ringing and I can hear the occasional shot from a hunter's gun. The balcony at Rocca delle Tre Contrade villa, with Mount Etna in the background. I'm in Sicily, staying with friends in a beautiful villa in the shadow of Mount Etna. I'm having one of those rare moments of blissful contentment. 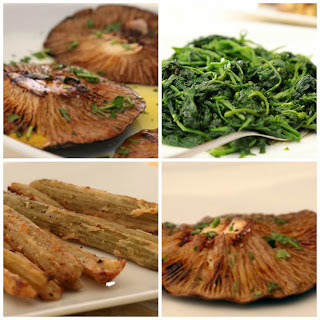 Last night we had a wonderful dinner which included both ricotta and wild green fritters, and a risotto with porcini mushrooms collected on the slopes of Mount Etna, as well as parmigiana and a local sausage made with pork and Parmesan in a Marsala and orange sauce. For pudding we had the most sublime crème caramel I've ever tasted, made by a past student Natalie to a recipe from one of the owners Marco Scire. He and Jon bought this villa in an advanced state of dereliction in 2006 and have since restored it to beyond its former glory. Later in the day we piled into the farm car and wound our way up through the Etna villages to a vineyard between the villages of Passopisciaro and Randazzo, owned by Alice Bonaccorsi and her husband Rosario. Because so many people nowadays can no longer drink the mass produced wines without a reaction, we have a particular interest in the natural wine movement. Etna wines in Sicily are really causing a stir, Jon and Marco are particularly knowledgeable on the subject and they've brought us to visit one of the small vineyards whose wine they really admire. this is possibly the most beautiful vineyard I've ever visited anywhere in the world. The indigenous vines, some over 80 years old are planted on tiered terraces held in place by loose lava rock walls. The soil in the vicinity of Etna is incredibly fertile and the biodiversity is startling. Here and there an ancient olive trees laden with ripening fruit. There's a white mulberry and Spanish chestnut covered with prickly husks and an occasional walnut tree. Cerise coloured prickly pears are ripe for picking on the cactus and the pomegranate is also dripping with fruit: it feels like the Garden of Eden. It's harvest time, the pickers are chatting away happily as they snip the last grapes from the Nerello Mascalese vines. The vineyard is alive with bird song and the rosemary and wild thyme are buzzing with bees. Alice points out the edible bitter greens as we walk along the ancient lava paths: wild fennel, sorrel, old lady legs, chickweed, and something called cannelli. All these are a treasured part of the Sicilian diet, and are incredibly nutritious, eaten wilted as a vegetable, with pasta, in fritters, sauces. They can be an acquired taste for those of us for whom bitter is not part of our flavor palette but I absolutely love them. The Bonaccorsis keep a few sheep and goats to clean the vineyards after picking, no mown and manicured vineyards here but a reassuring feeling that they are really farming in harmony with nature, so rare nowadays. The Val Ceresa Etna wines from their small vineyard have already made their way onto the wine lists of some of the smartest restaurants in the world, as a growing public craves something other than the five or six favoured noble grape varieties. At last there more people are beginning to truly value authenticity, craft and tradition in wine-making. Lunch at a little local restaurant in Randazzo, Trattoria San Georgio & Il Drago, opposite a twelfth century convent with lava rock window surrounds. The food was fantastically good and authentic. We had asked the owner to bring us something local, to which he replied, 'we only have local so how can I choose?' He then proceeded to bring dish after dish, first an anti pasta with about seven choices including cardoons, bitter greens, cured black pig ham, local cheese, zucchini and ricotta frittata, stuffed zucchini blossoms, roast purple cauliflower with chilli and olives. This was followed by tonnarelli pasta with briony and fungi di feila, local wild mushrooms roasted in the wood oven. None of us had room for pudding but there was fresh fruit and new season walnuts from their trees. It was a feast, and I kept wondering how Sicilian visitors would fare if they called in to a random restaurant in a remote village in Ireland! The next day, we drove to Catania, a baroque city completely rebuilt in the 1600's after lava from Mount Etna engulfed the city to a depth of 15 to 20 meters. It was fascinating to see the remains of a Roman amphitheatre under one of the main squares. This region had been the bread basket of Sicily. Up to the 1930's wine was shipped in cask from the port of Catania to France where it was blended with French wines. We strolled through the old city admiring the elaborate facades and vaulted doorways. The shops have a charming old fashioned feel with goods displayed in little glass cases on the wall outside. There are markets here and there, and little Vespa vans parked on street corners selling fruit and vegetables. We ordered a selection of three and a faggotini, a tender bread parcel stuffed with aubergine, tomato and cheese. The arancini are really substantial and filling, and are eaten out of your hand wrapped in a napkin. The drink of choice seemed to be iced tea with a dollop of lemon granita so I had one of those and loved it. I couldn't decide which of the arancini was my favourite, they were all good, but I think maybe the spinach. We certainly didn't need a dessert but decided to order a coffee and almond granita, all in the way of research! Water ices are an excellent way to round off a robust meal, in Sicily the texture tends to be smoother and less granular than one expects a granita to be. Granita is also the breakfast of choice for many Sicilians with a soft bun: a perfect start to a sizzling hot day. Sorry, this seems to be becoming a pattern, months of nothing and then a flurry of posts come along all at once! The third Web Summit and in my sheltered little life the first I'd heard about, was held in the RDS in Dublin recently. It was a mammoth event, sizzling with energy, which most of you will have heard about. The reason why it came to my attention this year was because just a couple of weeks before, Paddy Cosgrave, the curly-haired young dynamo behind the whole event, contacted Margaret Jeffares, founder of Good Food Ireland, to ask whether GFI would take on the feeding of the 10,000 plus delegates over the two days. It was a terrifying but tantilising challenge: what an opportunity to showcase Irish food to all those exciting young techies from Silicon Valley and over thirty countries around the world. There was a bit of to-ing and fro-ing, Margaret persuaded Rory O'Connell of Ballymaloe Cookery School, to take on the role of event manager, and then put out a call to the Good Food Ireland membership made up of farmers, fishermen, artisan producers, bakers, fish-smokers, cheese-makers, chefs... Over 60 responded and then the fun began. It was an incredibly tight deadline, just ten days to pull it off. A huge marquee was erected in beautiful Herbert Park, close to the RDS. On the day the sun shone brilliantly as the delegates merrily made their way along by the lake past the funky art installations made from defunct television and computer screens, keyboards, and "mouses". They were welcomed by huge displays of fresh seasonal produce as they entered the marquee to get a taste of the best Irish artisan food. Art installations made from defunct computer "mouses" and a computer caterpillar! On the first day we had been told to expect 5,000 people, but over 7,000 people poured into the tent as the word spread, oops! By 2.30pm the food was running out and many producers had used up their entire supply for two days. So what to do? Rory did some frantic calculations on the back on an envelope, mustered his troops, many of whom headed home and cooked and baked throughout the night. Nora Egan drove back to Inch House in Co Tipperary, where she and her girl, made and cooked 40 new black puddings until 4 am. And then at the crack of dawn her son drove to Dublin with the freshly made puddings. That's just one of the many remarkable stories from behind the scenes of the Good Food Ireland members, who have such a passion to showcase the best of Irish food at every opportunity. Congratulations to Margaret Jeffares, Rory O'Connell and all who were involved in doing Ireland proud in the inaugral Food Summit. 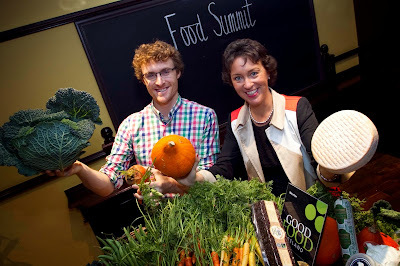 And not least to Paddy Cosgrave and his ace team who had the vision to make the Food Summit an integral part of the Web Summit. 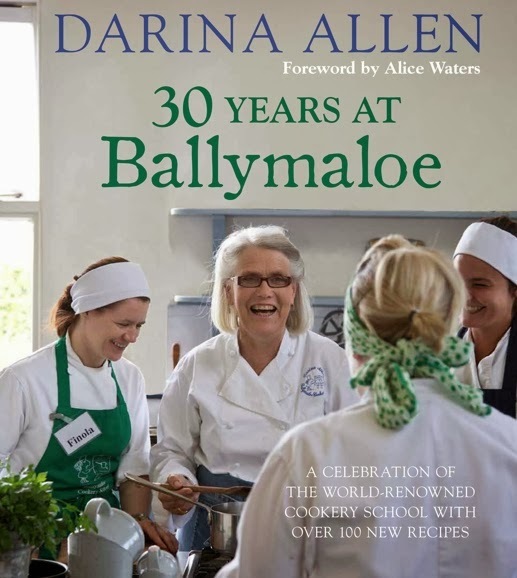 It is so exciting to hear that I have been short-listed for the Bord Gas Irish Book Awards for my new book, 30 Years at Ballymaloe. I am really delighted to be listed alongside Rachel Allen, Kevin Dundon, Catherine Fulvio, Ross Lewis and Nevin Macguire for this prestigious award. You can vote for my book here. 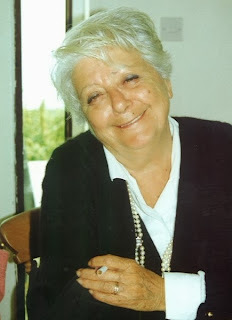 When I heard a couple of weeks ago of Marcella Hazan's death, memories came flooding back and I immediately wrote a heartfelt post about her on my i-Pad. But somehow or other it disappeared into thin air. I was so upset, as I wrote it from the heart when the sad news of her death was still fresh. It is so important to me to write and tribute to her, and so I shall to attempt now to do it all over again. Marcella Hazan has touched my life in many ways over the years. I have always loved to cook, and was already planning to start my own cookery school. I had several people telling me how wonderful Italian food was, but having never been there, I didn't know where to start. Then one day I found a recipe for homemade pasta in Gourmet, the American food and travel magazine, and I started experimenting with making my own pasta from durum semolina, rolling it by hand, cutting it and hanging it from the front rung of the Aga to dry. 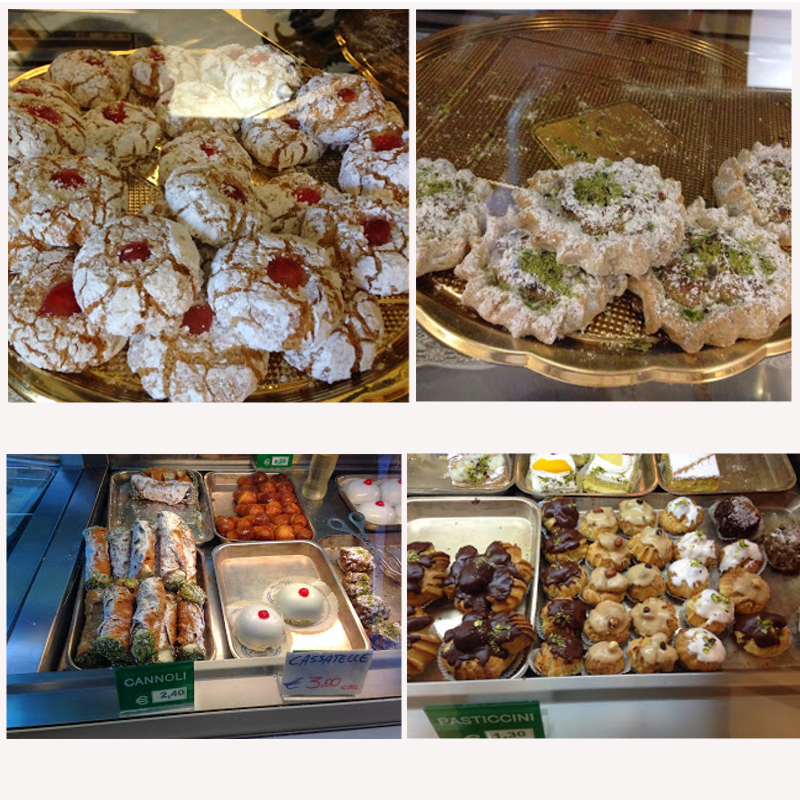 I was longing to learn a bit more about Italian food but didn't know where to turn, it always seemed so exotic. 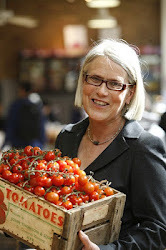 But as luck would have it, not long after, Jane Montant, the editor of Gourmet magazine was staying in Ballymaloe, and Myrtle introduced her to me and told her I was desperate to learn more about Italian food. She was adamant that there was only one person I should contact: Marcella Hazan. She told me about a week long cookery course that she did in Bologna, and gave me her details. I sent away for more information, which eventually arrived back via snail mail. A week long course cost £650, a small fortune back in 1982, but I desperately wanted to go. It was perhaps the first cookery course at that time that offered visits to markets, cheese makers, wine tastings and meals out, as well as cookery demonstrations. Timmy took the last penny we had out of the bank, and maybe even borrowed some money, so that I could take this course. And it turned out to be the best investment he ever made. 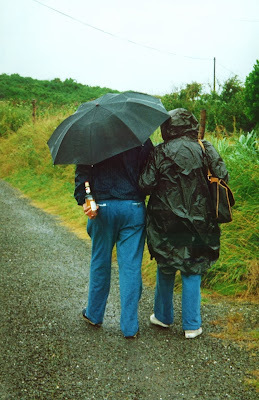 Everybody had been raving about Italian food - the markets, the produce, the food - this at a time when no-one held Irish produce or cooking in much regard, and far away hills were far greener then, it seemed. So I took a train from Paris to Bologna. I had a wonderful week, and indeed the food was delicious. But, it occurred to me, not any more wonderful than the produce we grew in the farm and gardens here ourselves. There was a great build up of excitement about the final dinner in a fish restaurant in Marcella's home town of Cesenatico. I still remember the name, La Gambera, which means 'the prawn' in Italian. And the food was indeed delicious, but once again, no more so than the superb fresh fish we got in Ballycotton. This was a real eureka moment for me. I suddenly really got what Myrtle had always deeply understood: the produce we have here in Ireland was as good as the best anywhere else in the world. I was the only Irish person that had ever enrolled on one of their courses. Most of the others were wealthy American students, many of whom were regulars on the international cookery school circuit - so both Marcella and Victor were intrigued and amazed as to how they had got an Irish farmer's wife on their course, which at that stage I was, I think that they suspected that I was a journalist incognito! I came home fired up with enthusiasm, realising that to have a cooking school in the middle of an organic farm and gardens, close to the little fishing village of Ballycotton, was an idea that had real potential. Almost a decade later, in 1992, I invited Marcella to come to the Cookery School as one of our first guest chefs, and people flocked from around the world to learn from her. The class was over-subscribed - with over 50 people. When Marcella realised it was 50, not 15 as she had thought, she nearly had a wobbly, but her husband Victor managed to reassure her, and we had a truly memorable two and a half days. Her course was the last of the season, and the next day was our annual staff away-day. It was planned for Heir Island to visit John Desmond's wonderful restaurant, Island Cottage. We invited them to join us, which they sportingly did. There was torrential rain and so we all got soaked to the skin on the little boat crossing from Cunnamore to Heir Island. I remember my husband Timmy brought a bottle of whiskey to warm her up, and I treasure these wonderful photographs of Marcella and Victor walking up the tiny winding path, his arm around her, clutching the bottle of Paddy. Marcella was always the quintessential coiffured, elegant Italian lady - so it was even funnier when we all arrived wet and bedraggled, hair plastered down by the rain. But she totally entered in to the spirit of it and we all had a wonderful time. 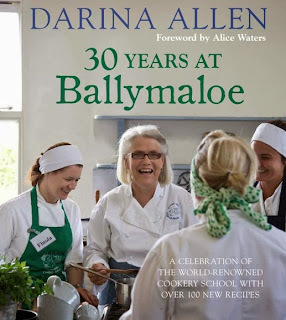 I hadn't realised how much she had enjoyed this episode until I read about it in her autobiography, which she let me quote from in my own most recent book, 30 Years at Ballymaloe, so things have come full circle. A group shot outside Island Cottage. 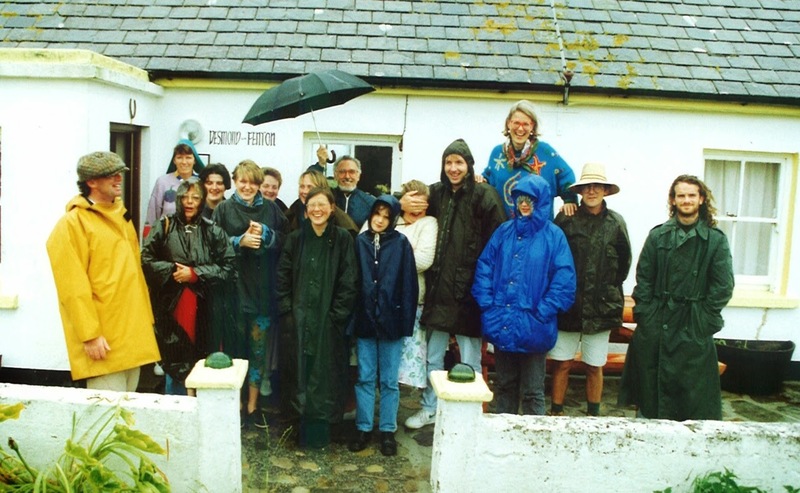 Marcella is to the right of chef-owner John Desmond in the yellow mac, whilst Victor holds an umbrella in the back. Then almost a decade later, I had already done several successful Simply Delicious series on television. We decided to make the next series in France and Italy in 1992, so we filmed an episode with Marcella in Venice, and then kept up contact. By which time she and her husband Victor had moved there, so any time after that when we visited Venice, we looked them up. When they eventually decided, in their later years, to leave their beloved Italy to move to Florida, to be closer to their family, they invited some of their friends from around the world to come and see them before they left. So Tim and I spent a couple of convivial days with them in Venice, and as we said our farewells, I promised to come and visit them in Florida on a future trip to America, and really, really, meant it. But years passed, and I wasn't necessarily swinging by Florida on my trips - and my promise was beginning to haunt me, so in September 2012 I planned a trip to visit them in Longboat Key, Florida. I flew into Sarasota and spent two wonderful days with Marcella and Victor, eating and reminiscing. Marcella cooked us a delicious lunch and dinner even though she was having increasing mobility problems. It felt so good to keep my promise. Little did I realise that that would be the last time I would see her. I owe both Marcella and Victor a great debt of gratitude for their knowledge and inspiration and I don't know if they fully realised the confidence that they triggered in me.